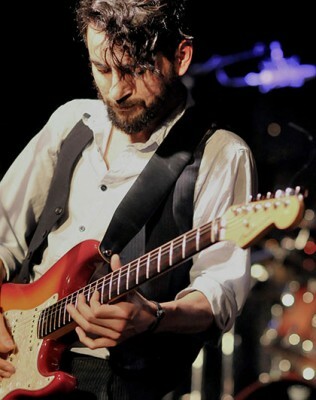 Quique Escamilla, a multi-instrumentalist, singer-songwriter, and producer living in Toronto, has rapidly become a rising star on the Canadian music scene since his arrival here in 2007. He received an award at this year’s Junos for his album, 500 Years of Night (World Music Album of the Year category), and in 2014, he won World Solo Artist in the Canadian Folk Music Awards. Originally from Mexico, Quique has been performing for over 25 years. His passion breaks down language barriers, his powerful voice fusing traditional Mexican styles of music with modern sounds including but not limited to rock, reggae, ska, pop, jazz, cumbia, bolero. Lyrically, his songs carry strong messages inspired by and in support of various social and political issues … “charming without being silly, political without being pretentious, and gifted as a performer in every way.” – Amanda Putz, CBC Radio-Canada, Ottawa. Still strongly connected to his Mexican roots, Quique is honoured to be here in Canada, sharing his many gifts, and we are honoured that he will grace Deep Root Music Festival stages this year.